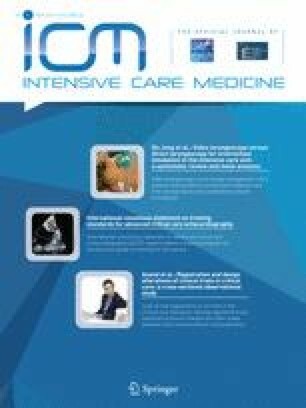 In this issue of Intensive Care Medicine, Le Maguet and colleagues explore the geriatric syndrome of frailty in the context of critical illness . The term “frailty” is widely used to describe an age-associated state that is characterized by a multidimensional accumulated decline of physiologic and cognitive reserves, giving rise to increased vulnerability to adverse events . The pathophysiologic mechanisms predisposing to the development of a frail state are incompletely understood; however, they are hypothesized to relate to a lifetime of maladaptive inflammation evident across multiple physiologic systems, culminating in alterations in metabolic rate, energy expenditure, sarcopenia, and chronic under nutrition  (Fig. 1). The frail patient clinically manifests these accumulated declines by expending a greater proportion of their already diminished reserves for simply maintaining homeostasis, whereby their capacity to respond to relatively “minor” stressors is grossly impaired . This may lead to further compromise and a disproportionate decompensation in health status—a concept termed “punished inefficiency” . There is no consensus on how best to measure frailty [4, 5]; however, a number of valid instruments have been developed that show strong association between a frail state and poor health outcomes . Frail patients are more susceptible to incident falls, acute illness, perioperative complications such as delirium, unplanned hospitalizations, incident disability, transition to long-term institutionalization, and death. The relationship between frailty and heightened risk of poor outcomes has shown remarkable consistency across studies of older populations and selected cohorts of patients undergoing major non-cardiac and cardiac surgery [7, 8, 9]. The potential utility of frailty as a prognostic tool in critical care has only recently begun to be explored . We recently described the prevalence, outcomes, and health utilization associated with a pre-existing frail state among a cohort of 421 patients aged at least 50 years old admitted to ICU across six hospitals in Canada . In our study, frailty was captured using the Clinical Frailty Scale (CFS), a validated instrument to ascertain the presence and severity of frailty among older community-dwelling patients originally developed by Rockwood and colleagues . A pre-existing frail state was evident in one-third of patients and was associated with higher in-hospital and 1-year mortality, along with lower quality of life, greater incident disability, and higher health utilization when compared to those who were not frail at baseline . The present work by Le Maguet and colleagues confirms and perhaps extends our findings regarding the potential prognostic value of a pre-existing frail state in the course and outcome of critical illness . The author performed a 6-month prospective, observational cohort study of 196 critically ill patients aged at least 65 years old admitted to ICU for at least 24 h at four academic hospitals in France to describe the prevalence of frailty and its association with mortality. The authors measured frailty utilizing two widely used and validated instruments: the CFS (as described above) and an adapted version of the Frailty Phenotype (FP) originally proposed by Fried and colleagues [8, 11]. Enrolled patients were classified according to the presence or absence of frailty using each instrument. The authors found pre-morbid frailty was common; however, agreement was modest between the instruments, with frailty observed in 41 and 23 % when measured using the FP and CFS, respectively. Patients who were classified as frail at baseline had a higher burden of comorbid illness, greater disability, higher prevalence of memory disorders, and higher McCabe scores. In this study, frailty was independently associated with a higher risk of ICU (FP only), and in-hospital and 6-month mortality (CFS only) compared with those who were not frail. There are a number of important findings from this study . Firstly, these data unquestionably confirm that frailty can be prospectively measured in patients with critical illness [1, 10]. Importantly, however, these data also highlight the challenge of how different validated instruments for measuring frailty, such as the FP and the CFS, can have variable performance when adapted for use in critically ill patients. Secondly, regardless of the instrument used, the accumulated data thus far substantiate that frailty is a common pre-existing state among older critically ill patients admitted to ICU [1, 10]. Finally, and perhaps most importantly, these data corroborate that identifying those patients with pre-morbid frailty marks a subgroup of patients vulnerable to less favorable outcomes. Notably, there are features of this study that may present challenges with generalizability. For instance, over one-quarter of the cohort were admitted either with a primary diagnosis of brain injury or following a cardiac arrest. Similarly, in approximately one in five patients, the ICU course was characterized by support being withheld or withdrawn. Significant differences were noted between frail and not frail patients when classified by the CFS (43 % for frail vs. 12 % for not frail, p < 0.0001). Unfortunately, disentangling the potential impact of “frailty” on end-of-life care decision-making by the treating team in the context of a non-blinded observational study is challenging. Of the 46 patients classified as frail by the CFS in this study, 43 % had support withdrawn or limited, yet only 50 % of these 46 patients died in hospital and 59 % died within 6 months. Compare this to the 150 not frail patients of whom only 12 % had support withheld or withdrawn, 28 % died in hospital, and 29 % died at 6 months. This would suggest that the majority of deaths among frail patients occurred following a decision to limit or discontinue life support. This difference may relate to the perception by the treating ICU team regarding a lack of benefit of advanced life support for these patients or that treatment was inconsistent with the patients’ values, a finding known to be strongly associated with withdrawal of support and death in ICU . This naturally raises the question of whether “frailty” represents a state from which survival is truly less likely, or merely a more pessimistic perception about outcome among the treating ICU team . 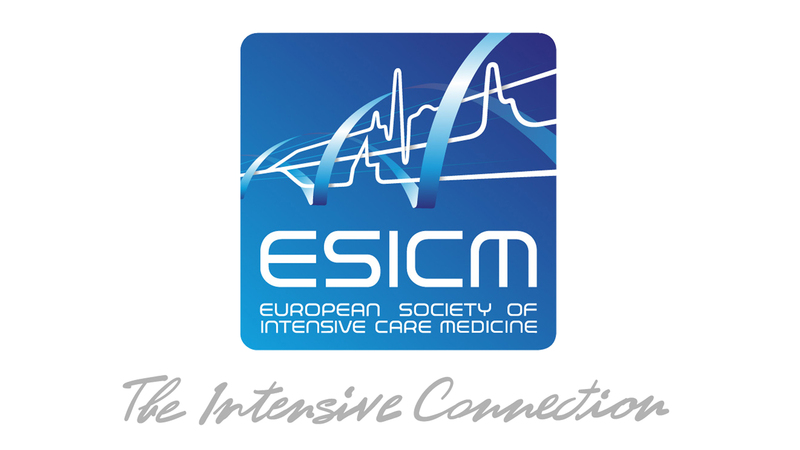 In our study, the provision of life support and treatment intensity in the ICU among frail and not frail patients were not significantly different, implying that frail patients, once admitted, receive treatment and support commensurate with their diagnosis and illness severity . However, unlike the study by Le Maguet and colleagues where ICU and hospital stay were not different by frailty status, we noted that frail patients had markedly longer durations of ICU stay and total hospitalization. We believe that this finding is consistent with the concept that frail patients have diminished reserve and impaired capacity to heal, necessitating a longer recovery time among survivors that is characterized by higher burdens of new disability and health resource use. Unfortunately, the study by Le Maguet and colleagues does not provide insight into the survivorship issues for frail patients, including new cognitive or physical disability, quality of life, discharge health state, or health resource utilization in the subsequent 6 months. Similarly, this study has not focused on the identification and characterization of frail patients who may benefit from targeted and individualized treatment plans to facilitate a greater likelihood of recovery to regain or maintain functional independence and transition home after critical illness. Perhaps frailty is not simply a prognostic marker, but also a therapeutic target, guiding clinicians to focus on those therapies which may attenuate or reverse the negative impact of critical illness and its support on lean body mass, strength, and neurocognitive function, such as early nutritional support, daily spontaneous awakening and breathing trials, and early mobilization . The extent to which disease is reversible is likely related to the state of pre-morbid frailty, where some deficits may exist and not be reversible, coupled with the trajectory of disease experienced by the patient, both prior to ICU admission and through hospitalization . The critical next steps will be to evaluate the role of frailty in both more proximate decision-making about the suitability of ICU support and to identify opportunities to target and evaluate interdisciplinary programs of care and rehabilitation for frail survivors of critical illness. Frailty is an emerging theme in critically illness with obvious prognostic significance . We believe that knowledge of a pre-existing frail state at a minimum translates into better informed decision-making for patients, their families, and clinicians on the expectations of survival and recovery from critical illness. Dr. Bagshaw is supported by a Canada Research Chair in Critical Care Nephrology and Clinical Investigator Award from Alberta Innovates-Health Solutions.